Spaceslug are a band from Poland that plays a mixture of sludge, stoner and doom metal with some black metal touches and this is a review of their 2018 album "Eye The Tide" which will be released in July by BFSD Records. Atmospheric sounding drones start off the album along with some powerful sounding bass guitar leads which also takes the music into more of a proto and stoner metal direction while the guitar solos are done in a very melodic style as well as the songs also mixing in the heaviness of doom and sludge metal. Melodic vocals can also be heard at times while all of the tracks are very long and epic in length along with some acoustic guitars also being used at times as well as the music also bringing in a great amount of psychedelic elements and at times the music adds in influences of progressive rock and when screams a re utilized they bring in a touch of black metal and also adds in blast beats when the music finally speeds up. Spaceslug plays a musical style that is mostly rooted in sludge, stoner and doom metal while also mixing in black metal, psychedelic and progressive rock elements to create something very original, the production sounds very professional while the lyrics cover the deepest and darkest parts of the universe. 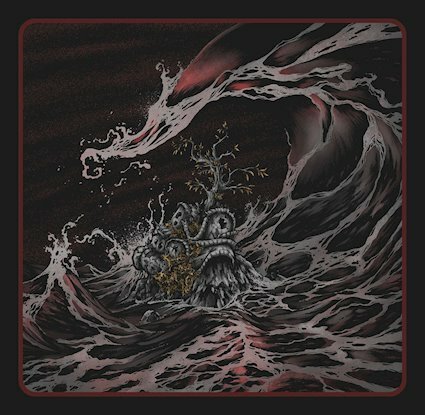 In my opinion Spaceslug are a very great sounding psychedelic mixture of stoner, sludge and doom metal and if you are a fan of those musical genres, you should check out this band. RECOMMENDED TRACKS INCLUDE "Spaced by One" a nd "Words Like Stones". 8 out of 10.